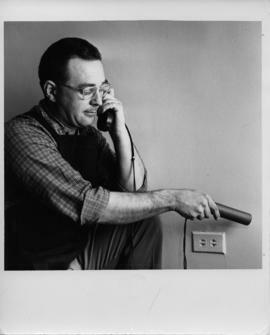 Photograph of Baker sitting in front of a telephone. 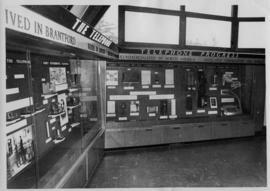 Item is a photograph of R.K. Jones holding a phone to his ear. 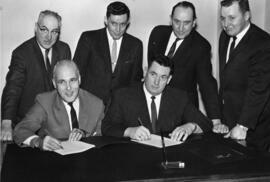 The phone cord appears to be attached to a cylinder in his other hand. 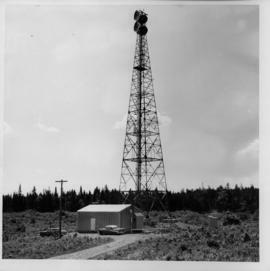 Item is a photograph of a smaller unidentified radio tower on a roof. 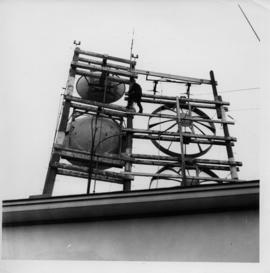 An unidentified person is seen standing approximately halfway up the tower. Three radio dishes are facing the opposite way. 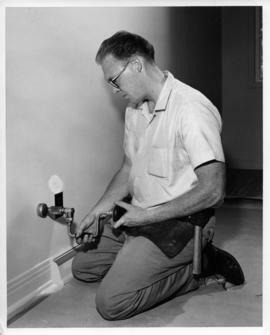 Item is a photograph of an unidentified person installing a phone jack. The person is working with cord in a hole in the wall. 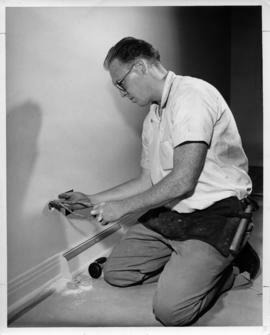 Item is a photograph of an unidentified person installing a phone jack. The person is using a crank-type device held to the wall beside an outlet. 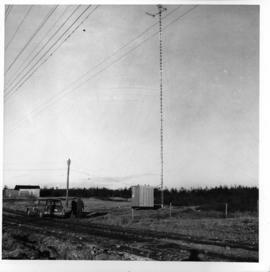 Item is a photograph of an unidentified radio tower. 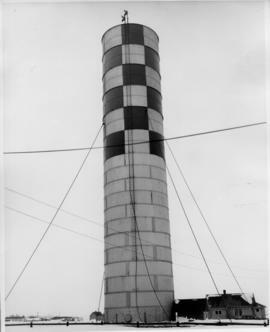 The tower is one solid cylinder that is checkered at top, with wires around it. 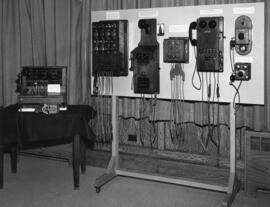 Item is a photograph of an unidentified radio tower. 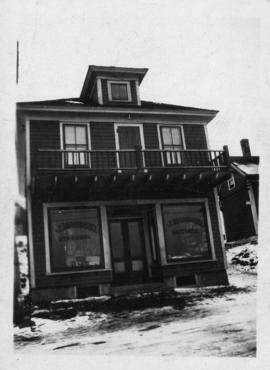 The photograph is taken from the ground looking upwards, with a small building and several vehicles visible. There is a forest behind the tower. 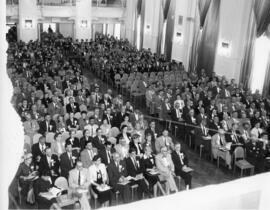 Item is a photograph of delegates at the fifth annual Telephone Association of Canada convention in Halifax, Nova Scotia. Item is a photograph of W.A. 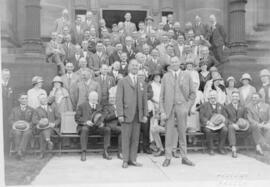 Winfield greeting E.F. Halliwell of B.C. Tel. 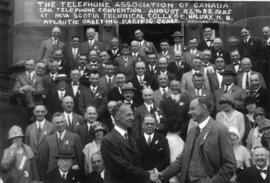 The pair are standing in front of delegates of the fifth annual Telephone Association of Canada convention in Halifax, Nova Scotia. Item is a photograph of W.A. Winfield and E.F. Halliwell of B.C. 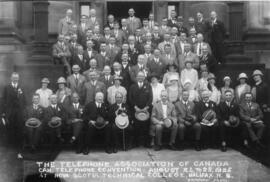 Tel, standing in front of delegates of the fifth annual Telephone Association of Canada convention in Halifax, Nova Scotia. 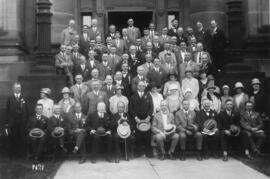 Item is a photograph of a group on the steps of the Nova Scotia Technical College in Halifax, Nova Scotia. 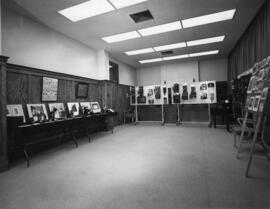 Item is a photograph of the W.A. 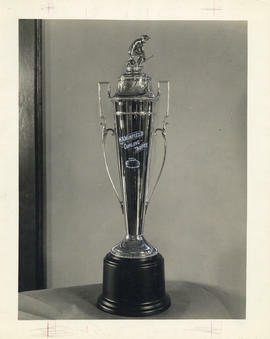 Winfield curling trophy. The photograph has been retouched. 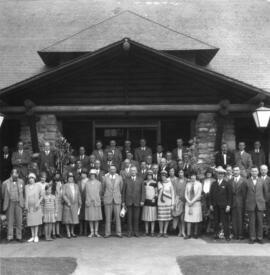 Item is a photograph of the cast of the Number Please minstrel review show. 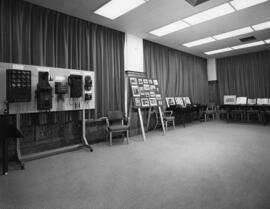 The cast is posing in a room at the Middleton Regional High School in Middleton, Nova Scotia. 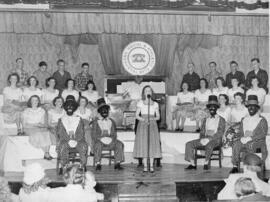 Item is a photograph of the cast of the Number Please minstrel review show. 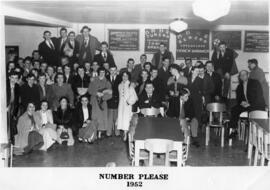 The cast is posing at an event organized by the Kinsmen Club in Truro, Nova Scotia. Item is a photograph of the Maritime Telephone and Telegraph Company hockey team posing in an arena. 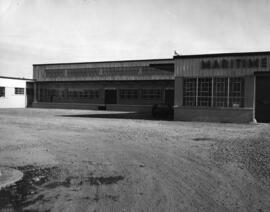 The photograph was taken by Tom Martin. 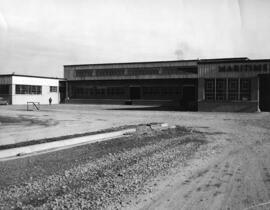 Item is a photograph of the top half of an unidentified radio tower. There four several radio dishes at the top. 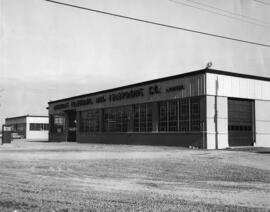 Item is a photograph of the tower on the Island Telephone Company's central office in Summerside. The photograph is taken from the parking lot looking upwards, with vehicles visible in the bottom of the shot. 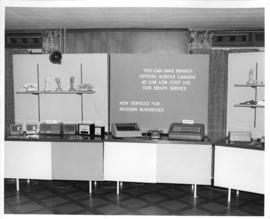 Item is a photograph of the tower on the Island Telephone Company's central office in Summerside. The photograph is taken from the roof, with another building visible in the background.